Thanks to Top Sites, you can enjoy a stunning, at-a-glance preview of your favorite websites without lifting a finger. Safari 4 tracks the sites you browse and ranks your favorites, presenting up to 24 thumbnails on a single page. You can even customize the display by pinning a favorite site to a specific location in the grid. That locks it into position, so you know just where to find it every time you open Top Sites. Wonder which sites have changed since your last visit? Sites with a star in the upper-right corner have new content. A single click opens the page and updates its thumbnail. Whenever you want to return to your ever-evolving Top Sites page, just click the new Top Sites button in the bookmarks bar. * Drag site thumbnails around to organize Top Sites the way you want. * See your favorite websites at a glance in Top Sites. * Click the pushpin icon to “pin” a site to a specific location; click “x” to remove a site from Top Sites. New to Safari, Cover Flow offers a highly visual way of reviewing your site history and bookmarked sites, presenting full-page previews of the websites that look exactly as they did when you last visited them. One look is all you need to recognize the site you want to visit. Simply flip through website previews in Cover Flow the same way you flip through album art in iTunes. Directional arrows let you browse forward and back. Or you can quickly flip through multiple sites using the slider. And when you find the site you want, simply click to open it. With Full History Search and Cover Flow, what you see is where you went. Safari introduces a dramatic new way to revisit sites, letting you flip through full-page previews of the sites you visited in the past. You may not have total recall, but Safari does, automatically storing all the text and a thumbnail of every page in your history. That makes it easy for Safari to get results even if you remember little about the site you’re searching for. Just type a word or phrase in the History Search field in Top Sites, and Safari quickly presents you with a list of possibilities. In fact, you can search for anything that was on a page you visited, even photo captions. To jog your memory, Safari presents the sites it finds in Cover Flow, giving you the opportunity to spot the right site on sight. Still the world’s fastest web browser, Safari outraces Firefox, Internet Explorer, and Chrome. On even the most demanding Web 2.0 applications, Safari delivers blazingly fast performance thanks to the industry’s most advanced rendering technologies. How does Safari performance compare to other browsers on the Mac and Windows? If you’re using Safari on a PC with Windows Vista or Windows XP, you’ll feel right at home. That’s because Safari features a native look — just like other Windows applications — including a native title bar, borders, and toolbars. To provide a consistent Windows experience, Safari now uses Windows standard fonts, but you can choose to use Apple’s crisp anti-aliased fonts if you prefer. Of course, Safari for Windows delivers the same lightning-fast performance provided by the Mac version. 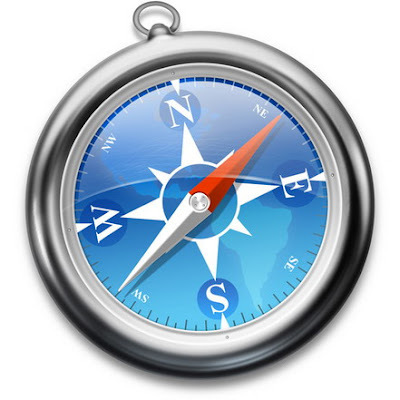 Safari for Windows features a native look, complete with a native title bar, borders, and toolbars. Thanks to its native look, Safari fits right in with other Windows Vista applications. If you’re using Windows XP, you’ll feel right at home when browsing the web with Safari for Windows.